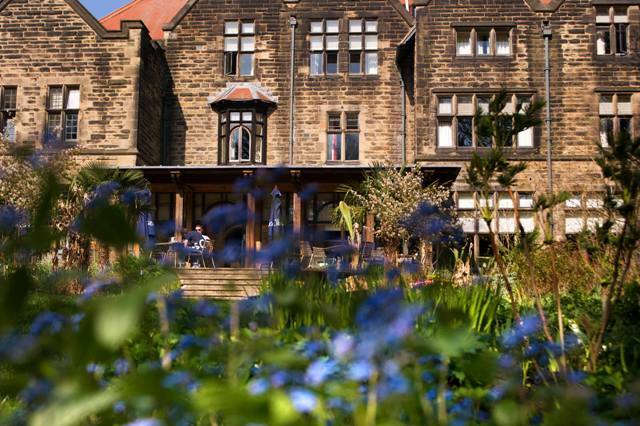 Considering Jesmond Dene House is within walking distance of Newcastle’s centre, and then to find it surrounded by woodland and river comes as a very pleasant surprise. We have Lord Armstrong to thank for all this. Tyneside’s eminent gun baron was not only a genius at inventing firearms he was also a whizz at water hydraulics. Hence, he transformed the area where he lived into a forested playground of waterfalls and dams and donated it all to the City of Newcastle in 1883. Armstrong’s generosity aside, Jesmond Dene Hoiuse has an even closer connection to the great man as this fine Georgian mansion was at one time the family home of his business partner, Andrew Noble. Noble frequently entertained luminaries, royalty and high society at the house and its colourful history simply adds extra layers of intrigue and significance as far as I’m concerned. 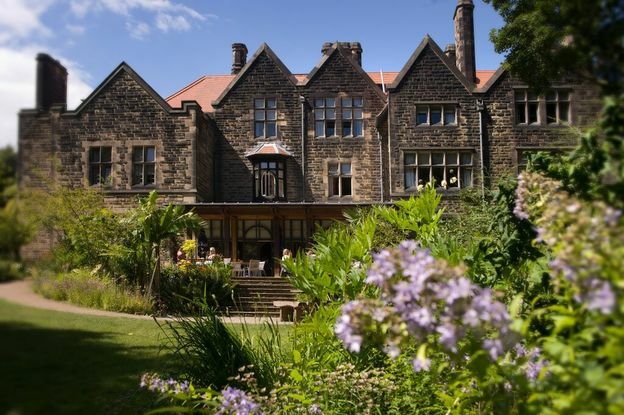 Today, Jesmond Dene House is a splendid example of a privately owned luxury hotel. 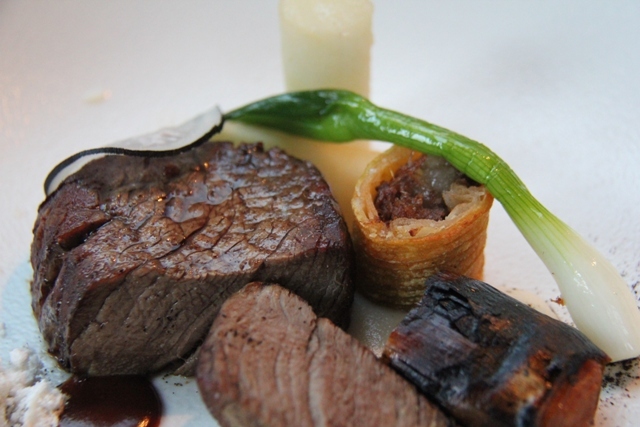 Tucked away in this wooded corner of Newcastle, it has achieved almost legendary status in the city. It is a beautiful building made even more memorable by its collection of lifelike dog sculptures made entirely of wire by local artist Gary Tiplady which line the lobby and restaurant bar. My room however is in the adjacent New House, a more modern and spacious building, but certainly lacking the character and timbered beams of the old mansion. 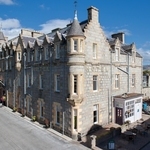 Nevertheless, it is a fine junior suite with a private patio area, super King bed, fresh fruit, coffee and tea and a large bathroom with White Company toiletries. 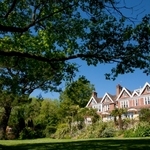 We take a stroll into the Dene, literally a few steps from the hotel entrance and find ourselves in Armstrong’s wooded world; a long natural river valley stretching across three parks where Armstrong added bridges, trails and a waterfall. Not to mention a grand banqueting hall and a chapel. Further along the trail I discover a small free zoo, and past this, the grounds of Armstrong’s former mansion. Back at Jesmond Dene House my thoughts turn towards more serious matters. 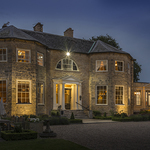 Clearly the beating heart of the hotel, the three AA rosette restaurant dominates the old house. It takes up three rooms and the Garden Room conservatory, which is where I make full use of the late summer sun and nip outside to ponder a while in the beautiful garden. Making a mental note to get breakfast on the terrace tomorrow if the sun is out, I return to more pondering. But the menu, in this case is a much more rewarding use of my time. 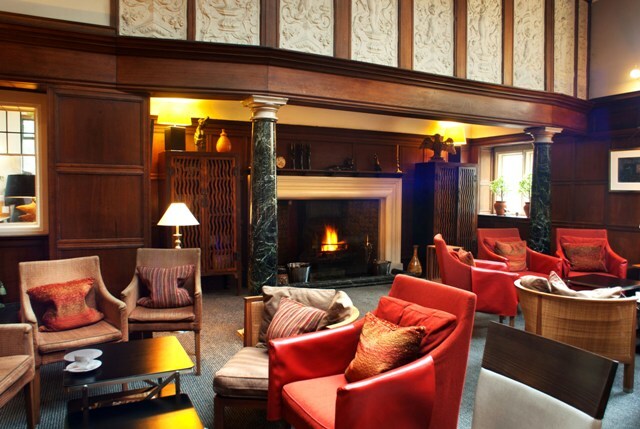 In the style of many country house hotels, I contemplate the menu in the lounge bar before being seated. 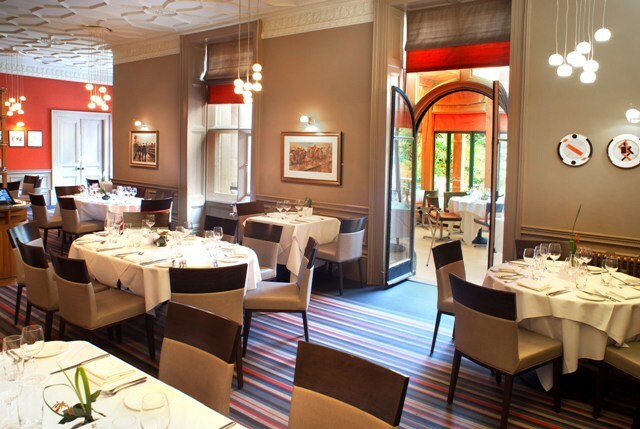 This is where things could get a little formal, but thankfully Jesmond Dene House doesn’t do formal, just elegantly relaxed. While I wait, I sip an ingenious whiskey based cocktail called Smoked Bramble; Islay whiskey, apples and blackberry. Three of my favourite things in the whole world. Walking back to my room, I pass some black and white photos of the Noble family in residence and think to myself, they would have approved of what has become of the old homestead. Morning breaks and true to my word, I’m out on a sun baked patio sipping a very handsome cappuccino. Too often all the love and passion devoted to fine dining gets lost at breakfast; the job of cooking eggs given over to lesser mortals. 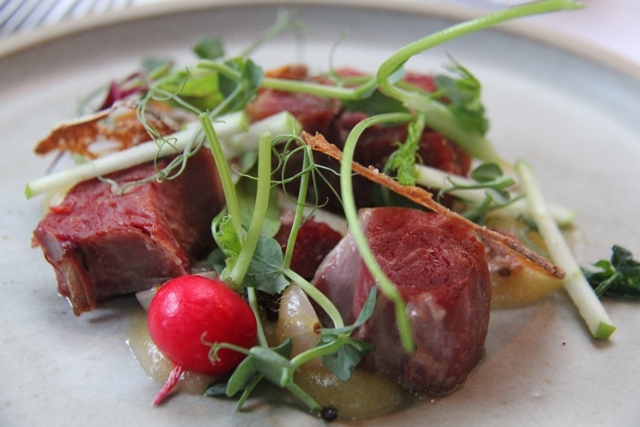 At Jesmond Dene House, the dinner service has transformed into breakfast but thankfully, the quality not just remains, but positively revels. There is a fresh buffet of course, but this is just the tip of the iceberg. The cooked menu is like a voyage of discovery; porridge with single malt whiskey and stewed fruits, a full English with eggs any way you like, grilled Craster kippers with seaweed butter, smoked salmon with scrambled eggs, haggis and duck egg with salsa verde, French toast, Eggs Benedict, Florentine or Montreal (I had to check exactly what Montreal was. Salmon) and last but not in the slightest bit least, Omelette Arnold Bennett. All delivered beautifully without a hint of grease. It is a very Noble breakfast if I say so myself, and for the reasons I mentioned, it deserves more praise than dinner. 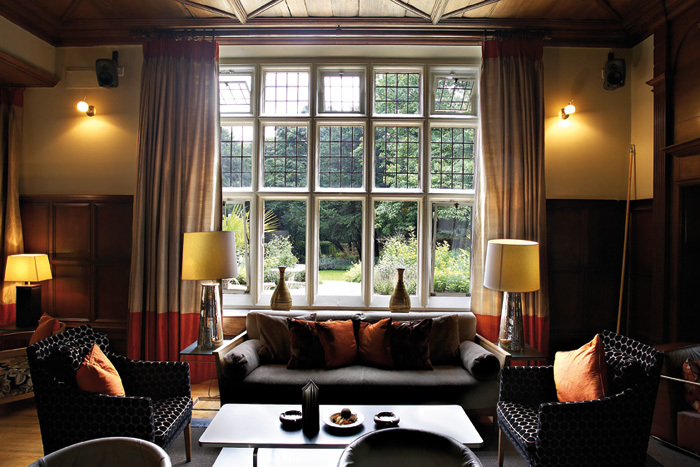 Jesmond Dene House is a real find. A leafy corner of Tyneside that should be explored at all costs. 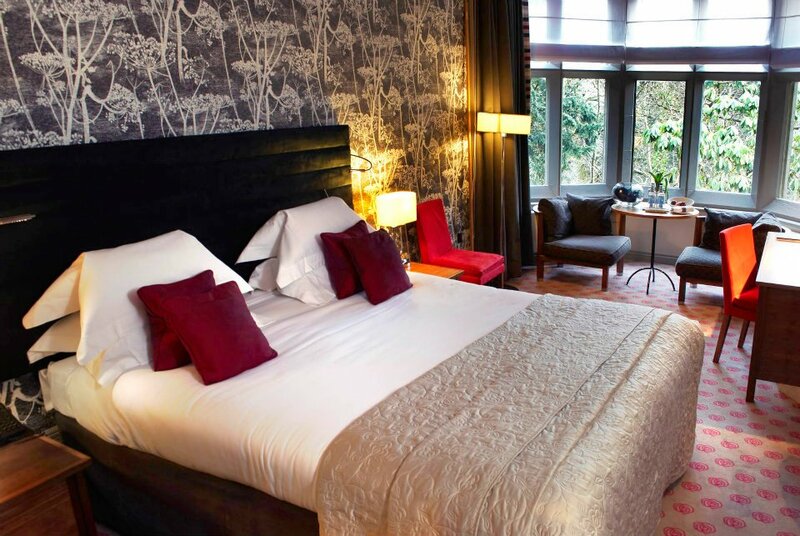 The room rate for a classic room starts from £120 on a B&B basis.